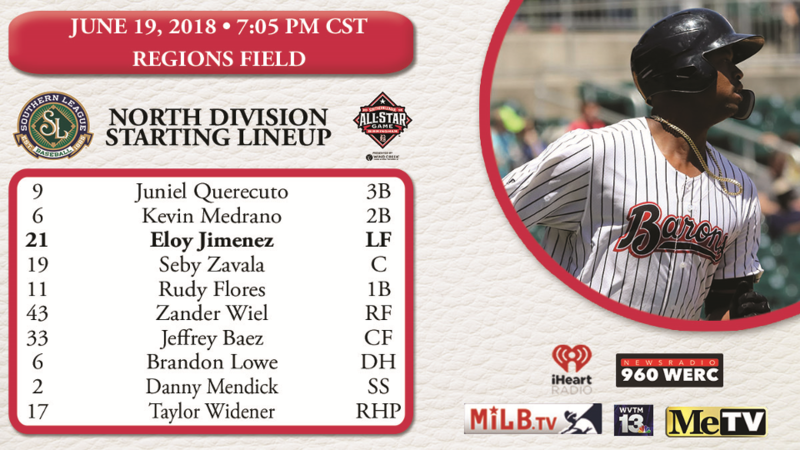 MARIETTA, GA - The Southern League of Professional Baseball Clubs are proud to announce the North Division starting lineup for the 2018 Southern League All-Star Game. This year's game is scheduled for Tuesday, June 19 at Regions Field in Birmingham, Alabama. First pitch is slated for 7:05 pm. This initial lineup is subject to change and will be updated as player transactions occur due to promotion, trade, or injury. The South Division starting lineup will be announced tomorrow, June 8.